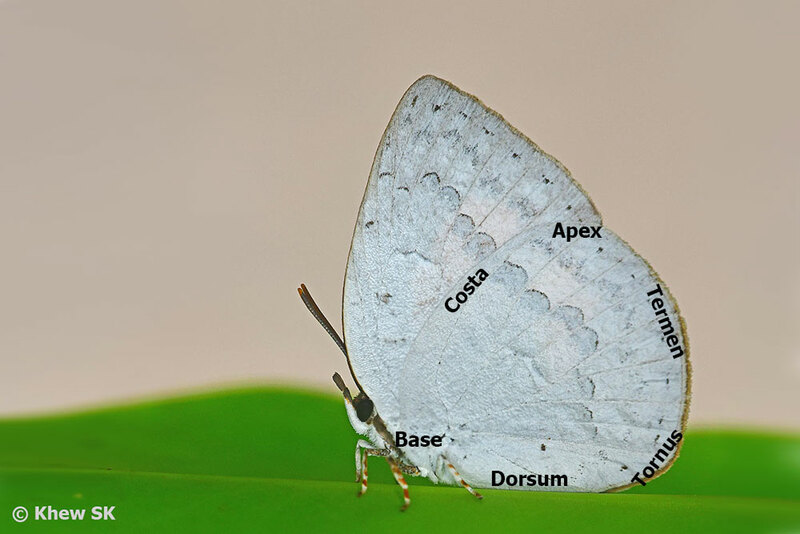 In the appreciation of butterflies, nature's winged jewels, it is also important to be able to appropriately refer to the correct names to the different physical parts of the butterfly. Just like any bird, animal or even an inanimate object, like a car, there are proper names given to each part so that anyone describing or referring to the different aspects or parts of it can be universally understood. 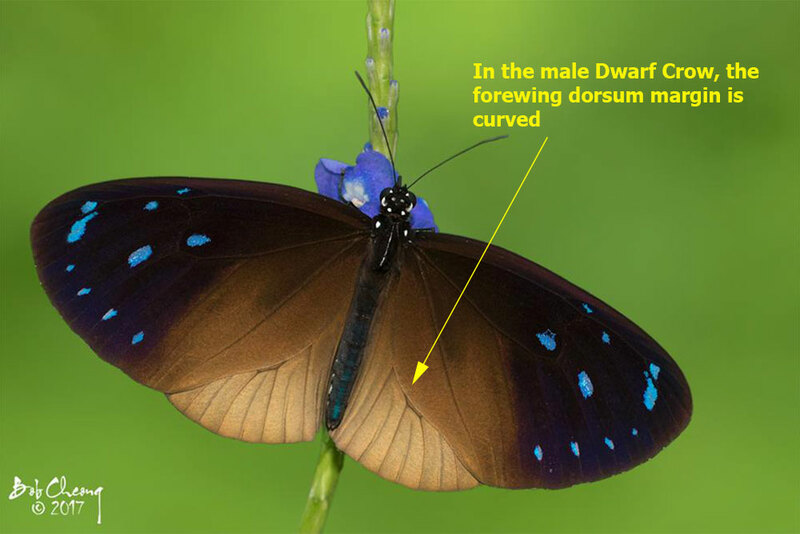 This is no different for a butterfly, which has proper terms to describe different parts of its wings or body. 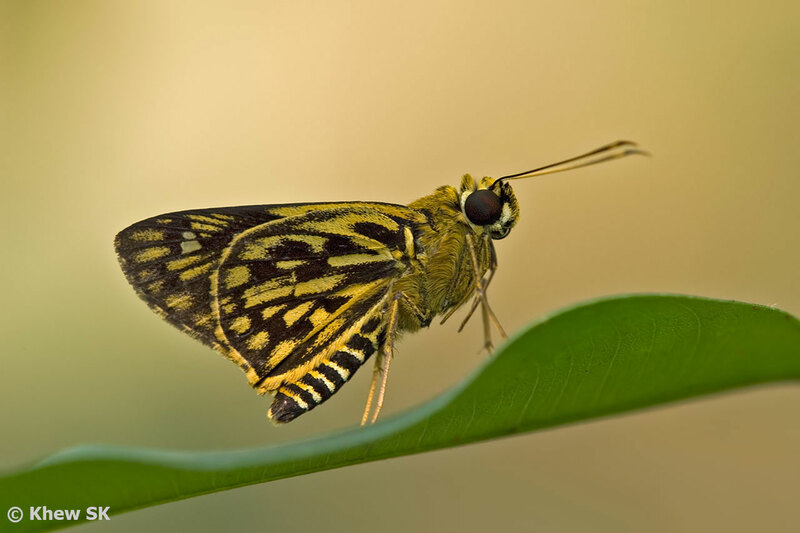 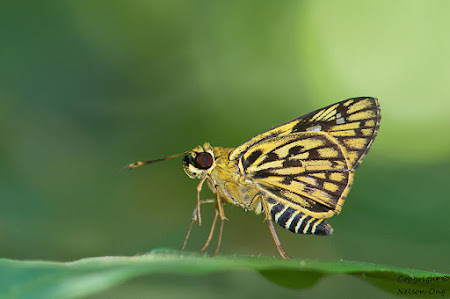 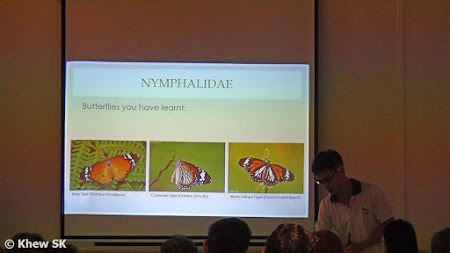 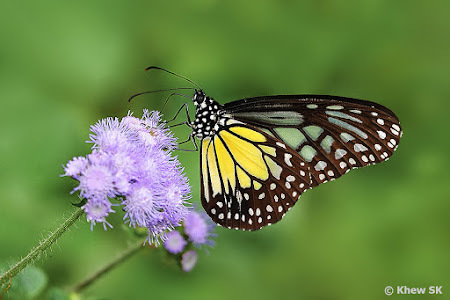 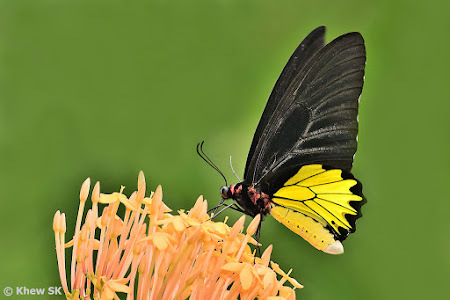 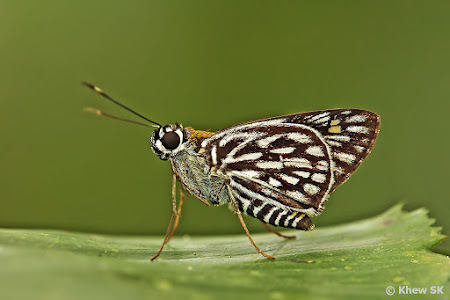 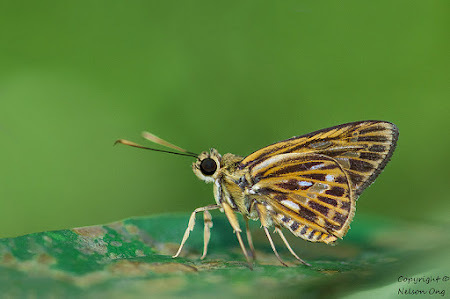 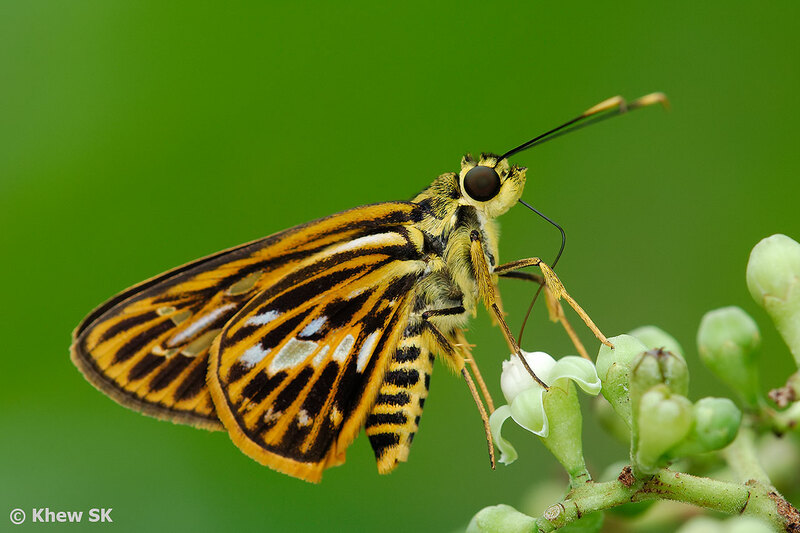 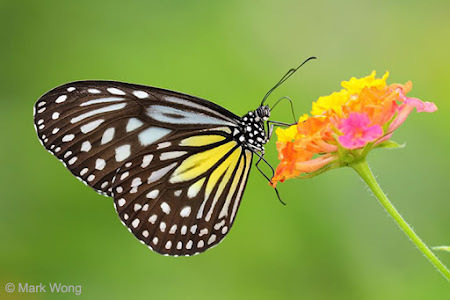 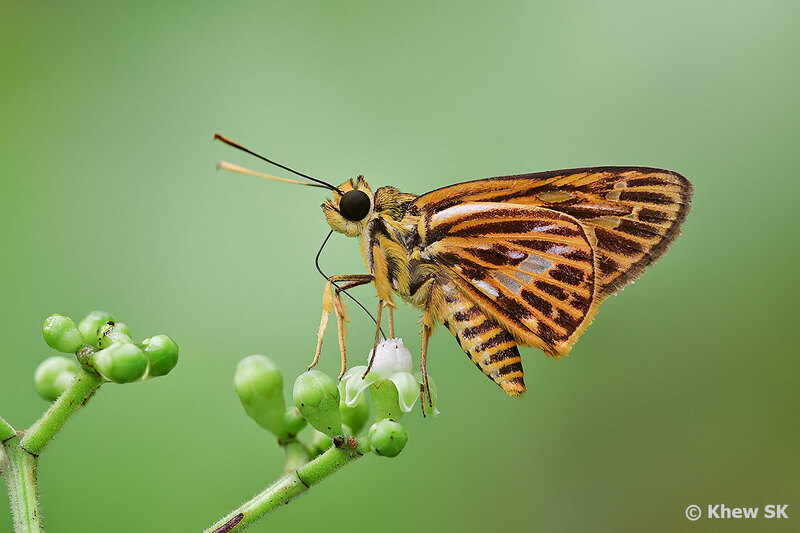 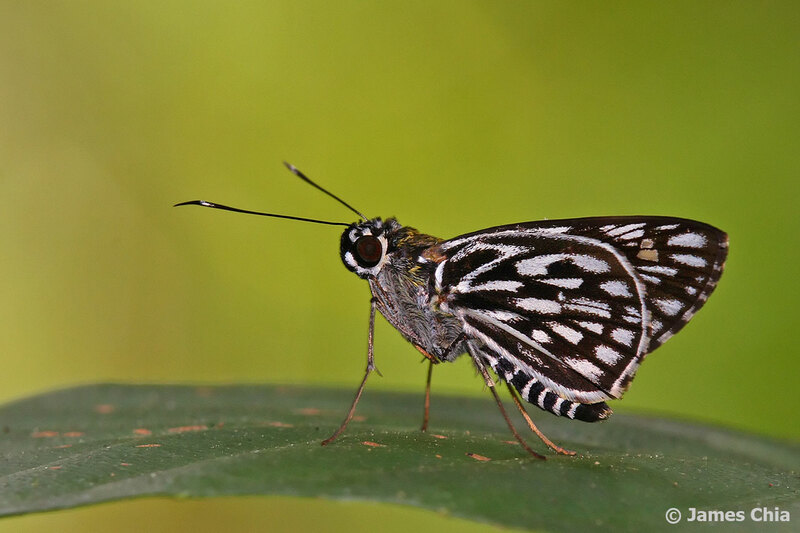 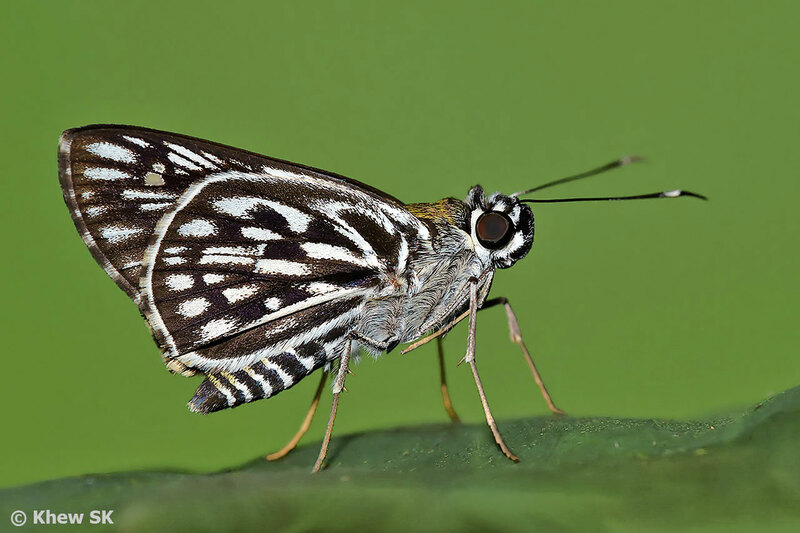 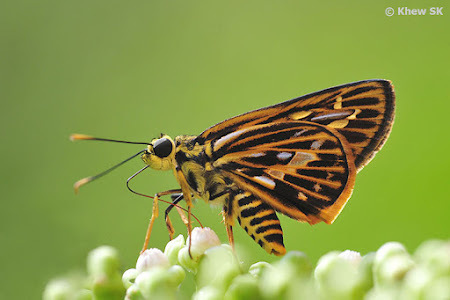 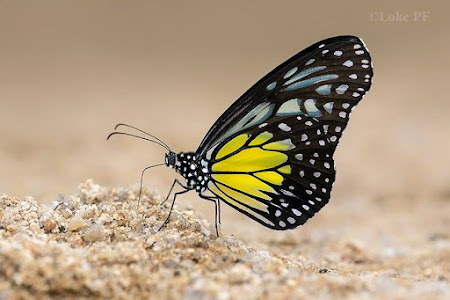 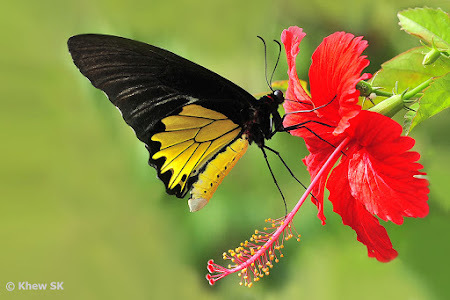 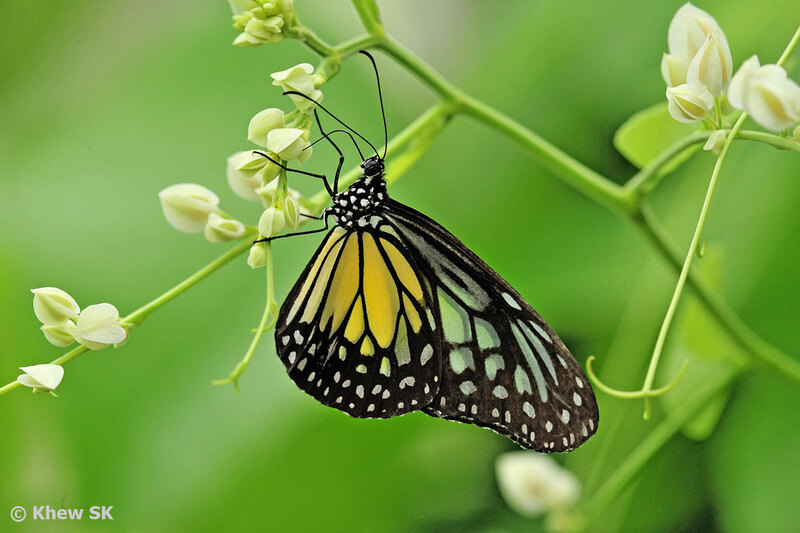 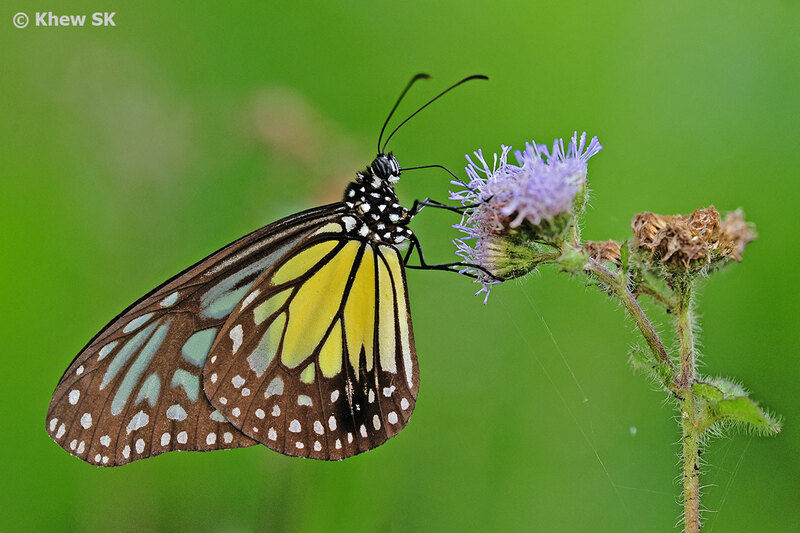 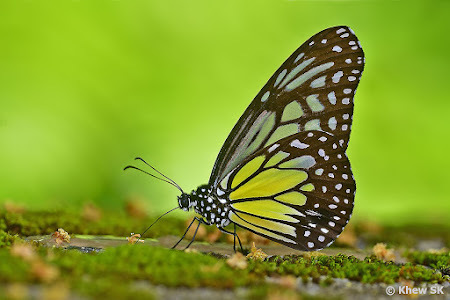 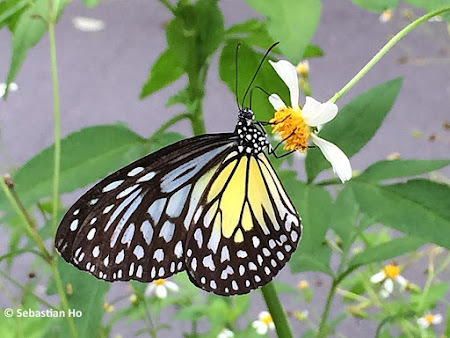 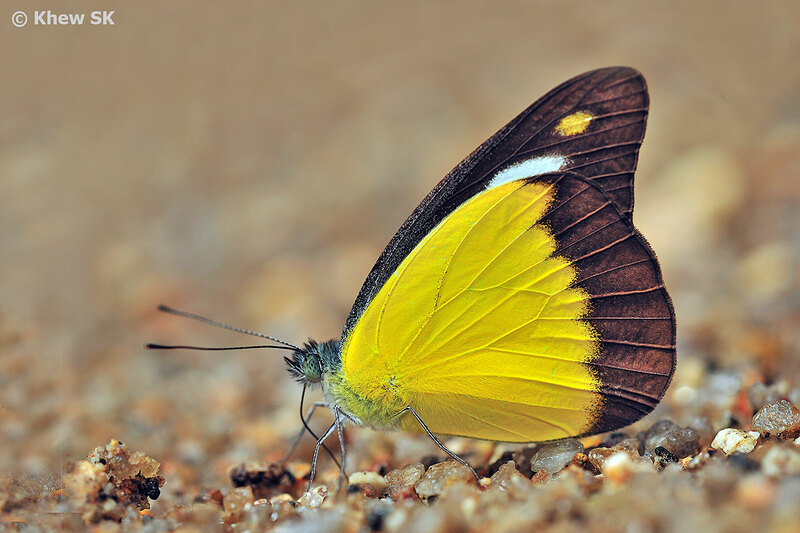 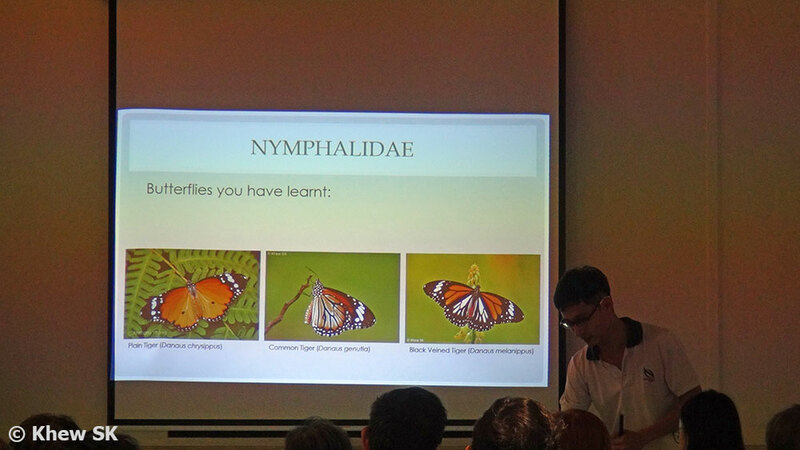 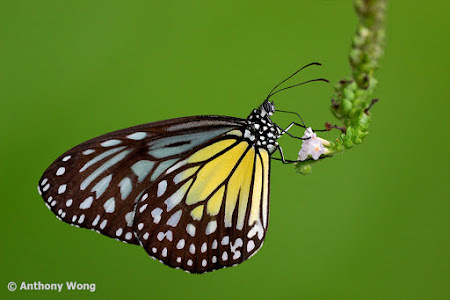 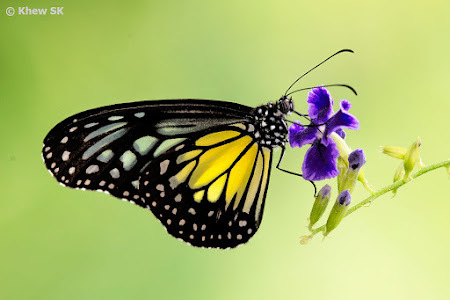 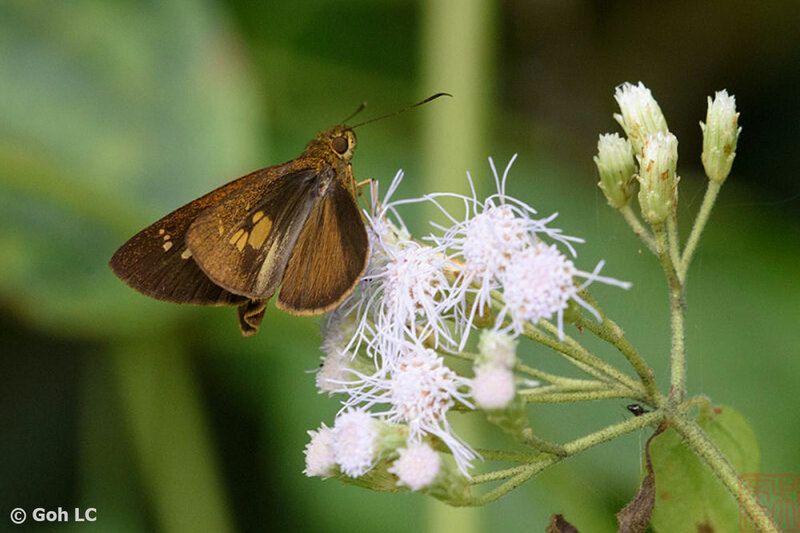 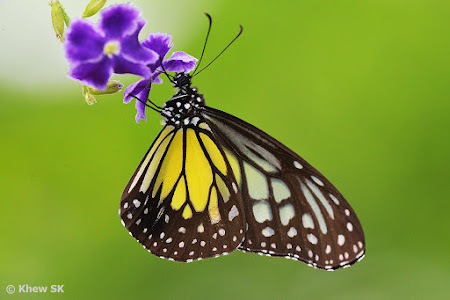 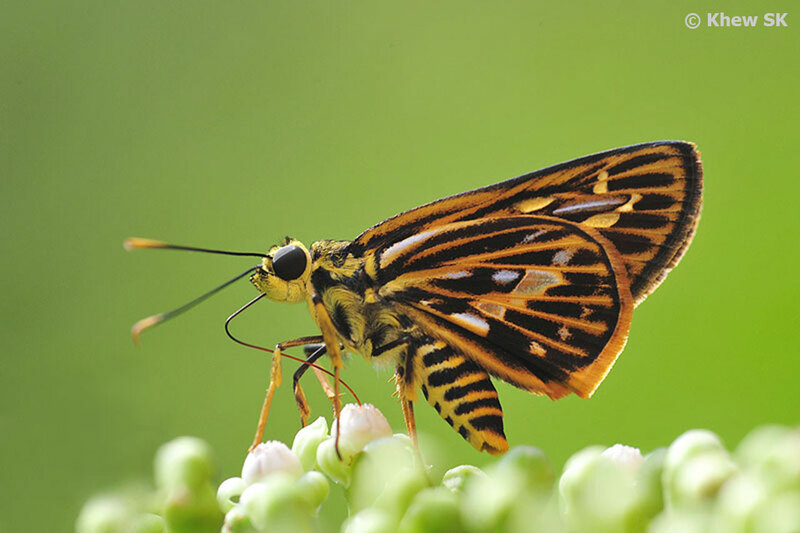 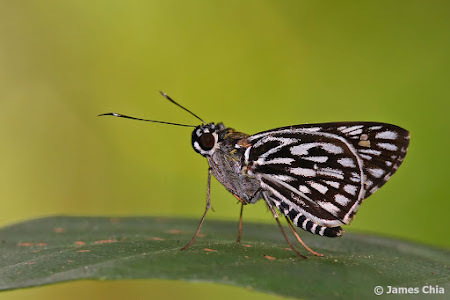 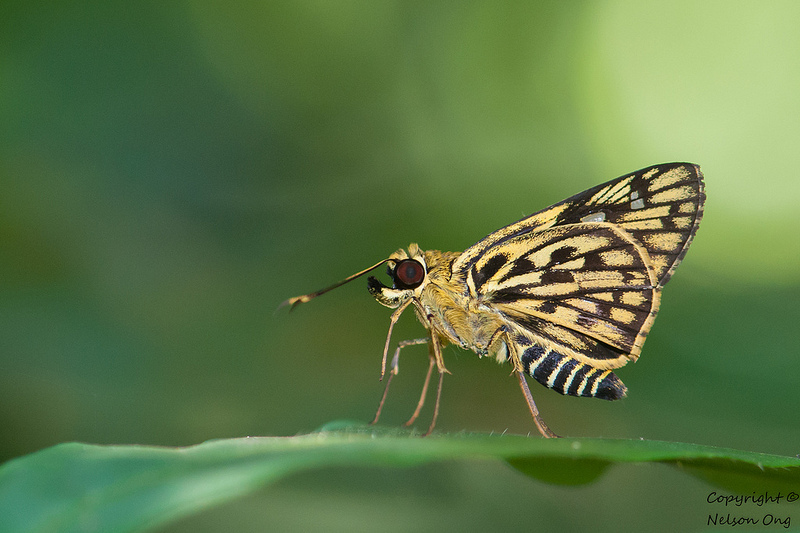 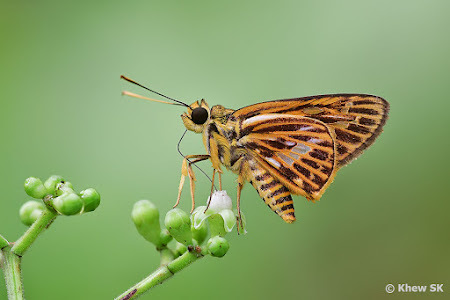 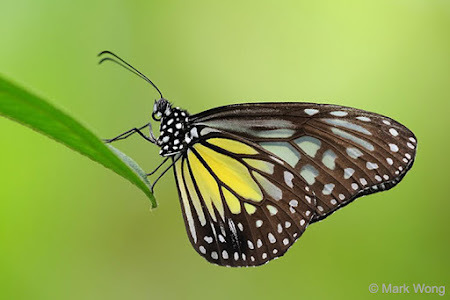 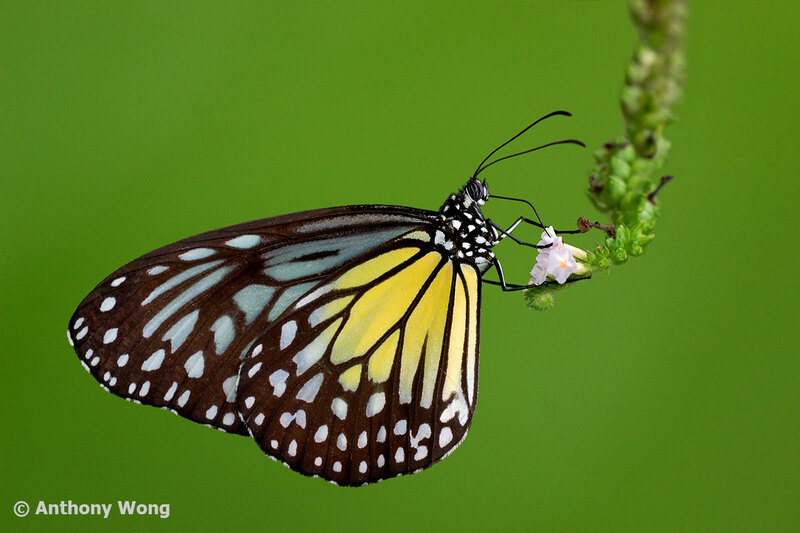 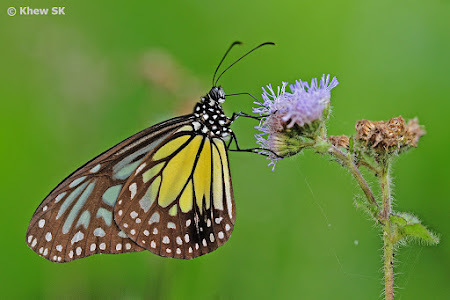 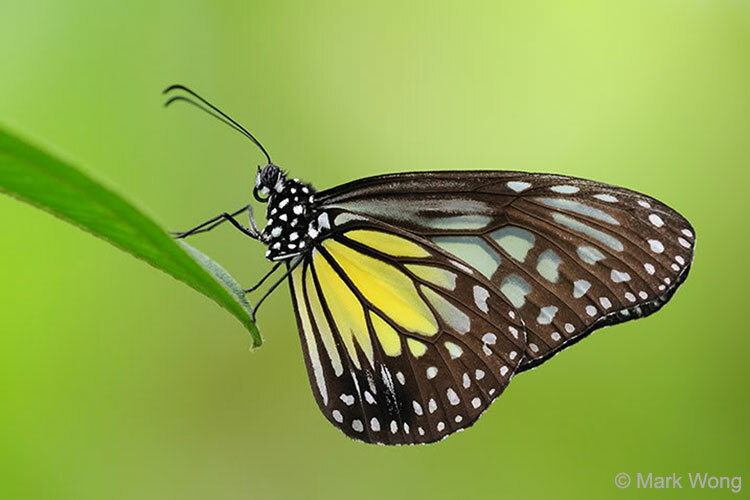 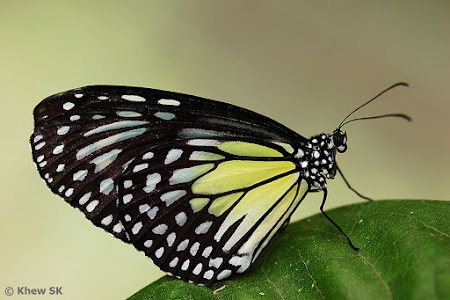 In this blog article, we will systematically learn about the different parts of a butterfly from basic terminology to the detailed biological terms used by scientists to describe a butterfly's physical attributes. This article is not meant to be comprehensive or exhaustive, as a complete glossary of the scientific terminology may be too daunting for a hobbyist trying to learn about the proper names given to the different parts of a butterfly. 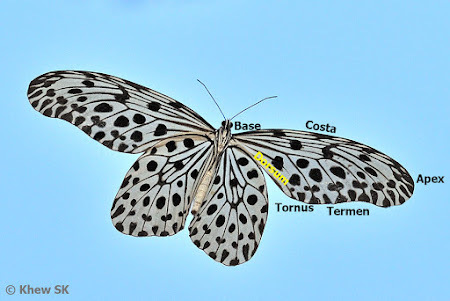 In many references, both online and in hardcopy books, diagrams and graphics depicting the different parts of a butterfly are often too complicated. This may be due to packing in as much information as possible for efficiency, where a lot of information is crammed into a single picture. I will attempt to introduce the anatomical features of a butterfly and their respective proper names progressively from the commonly used terms to more detailed scientific terminology. 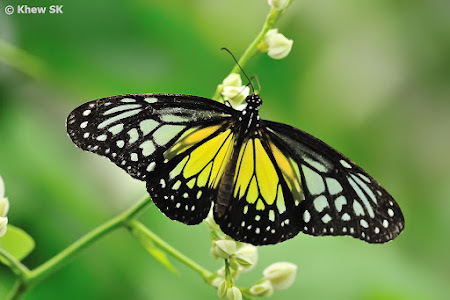 Firstly, when one takes a look at a butterfly, the basic information would be the body and wings of the insect. 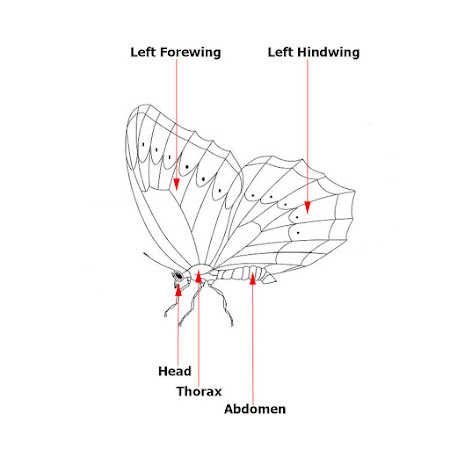 Fundamentally, the body is divided into three segments - the head, thorax and abdomen. 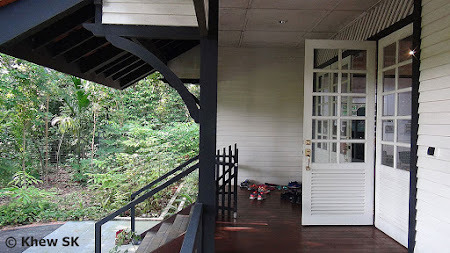 Then we take a look at the wings. All butterflies have four wings - left forewing, right forewing, left hindwing and right hindwing. 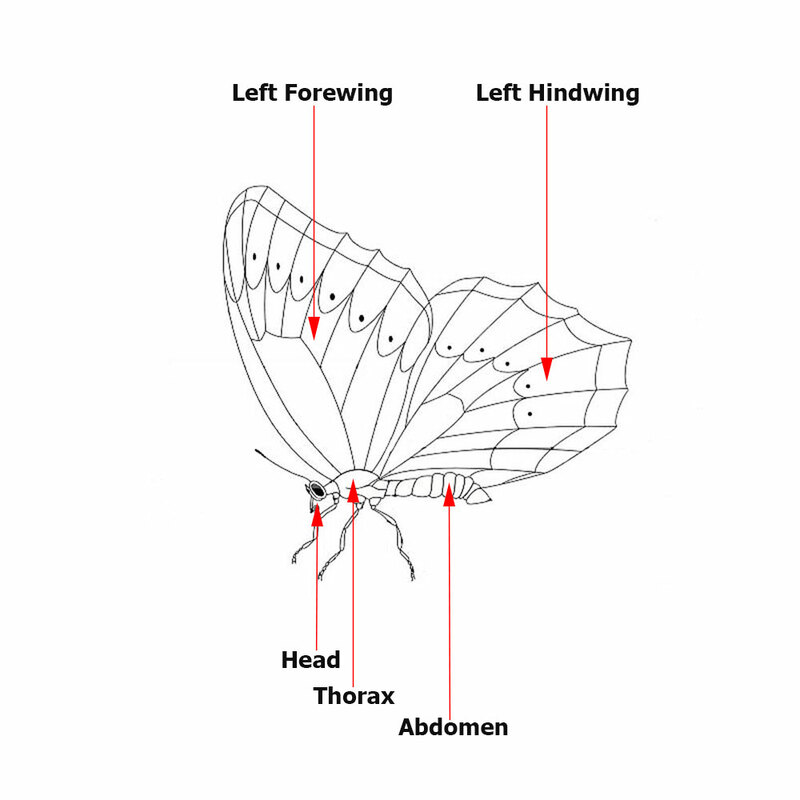 At the next level, would be the different parts found on the head, thorax and abdomen. 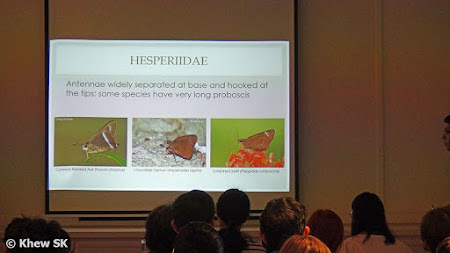 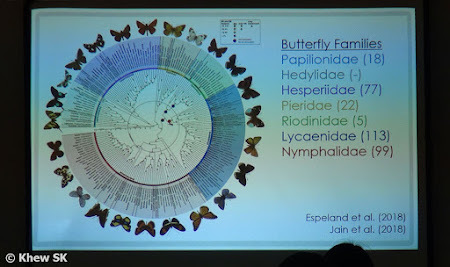 These are important parts of the butterfly and often described or elaborated in references as part of the diagnostic features in butterfly identification. 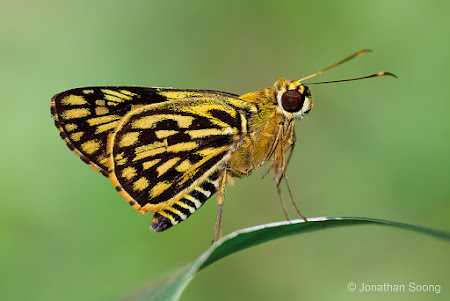 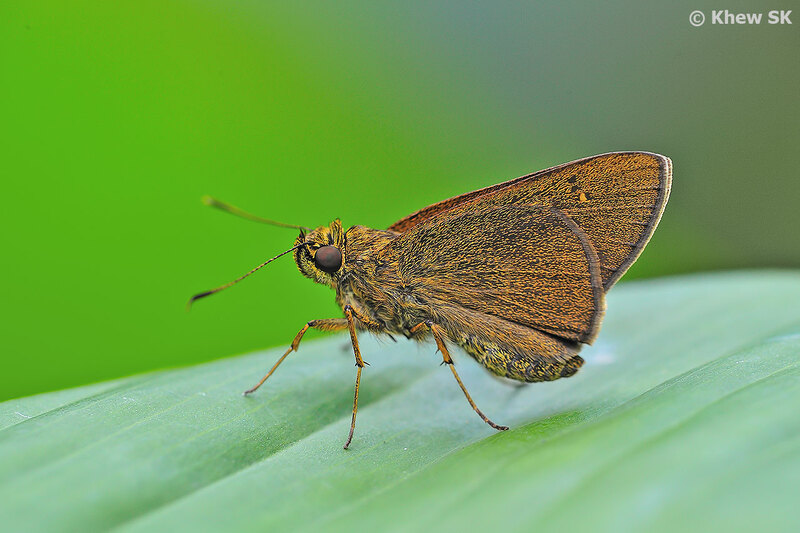 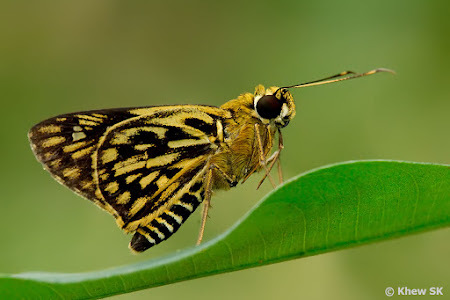 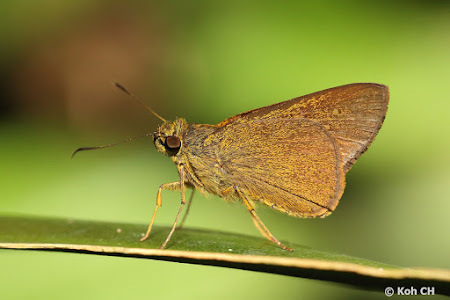 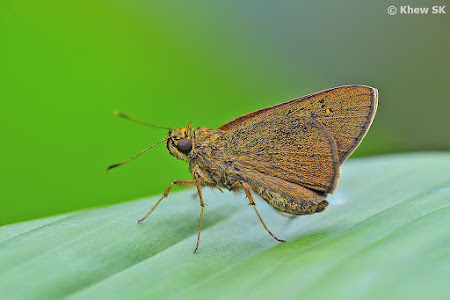 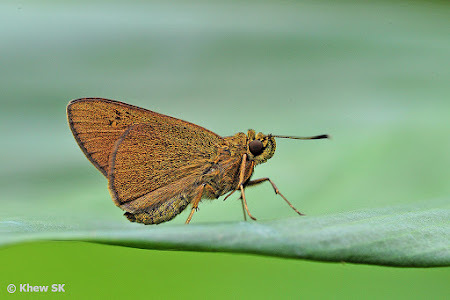 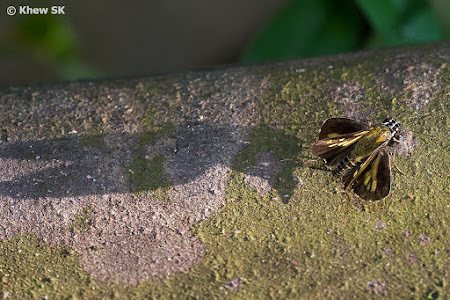 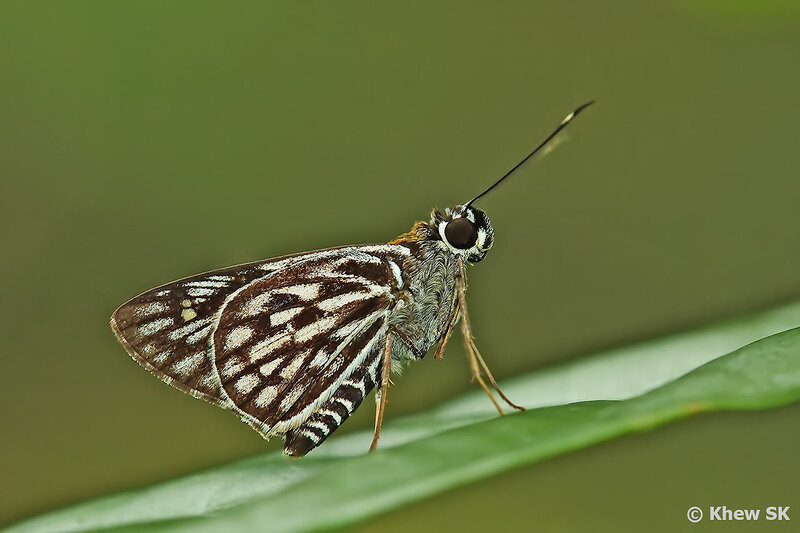 For example, the colour of the shaft of the antenna just after the club is a diagnostic feature for some skippers, whilst the shape of the tip of the abdomen can help to separate between a male and female of a species of butterfly. 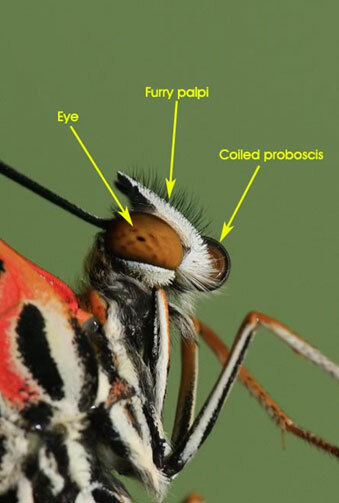 Hence on the head, the important parts that should be highlighted are the antennae, eyes, palpi and proboscis. 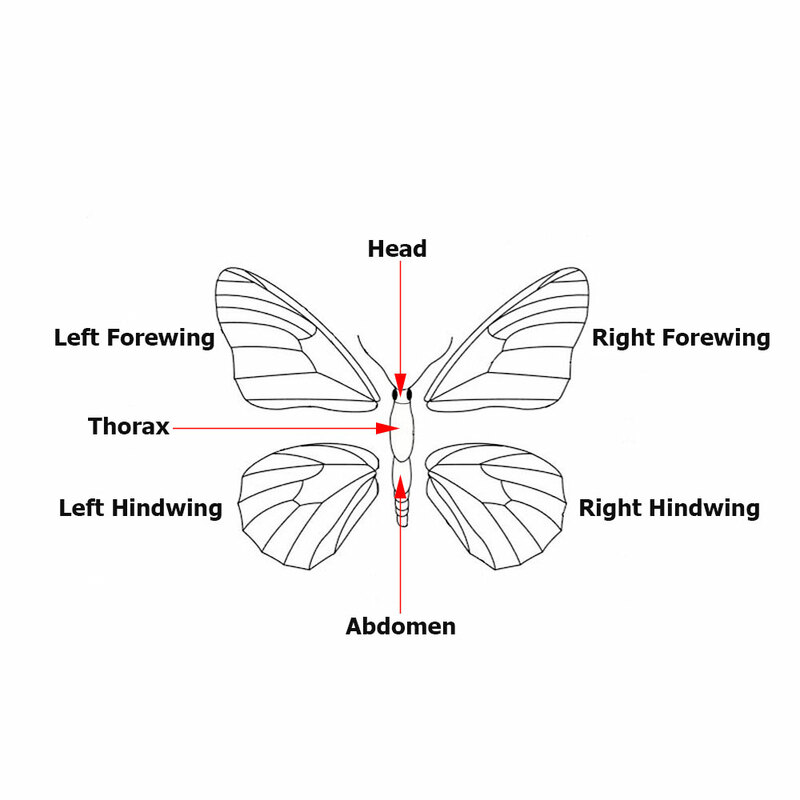 The middle section of the body, the thorax, is best thought of as a muscular anchor to which the head, legs, segmented abdomen, and wings are attached. 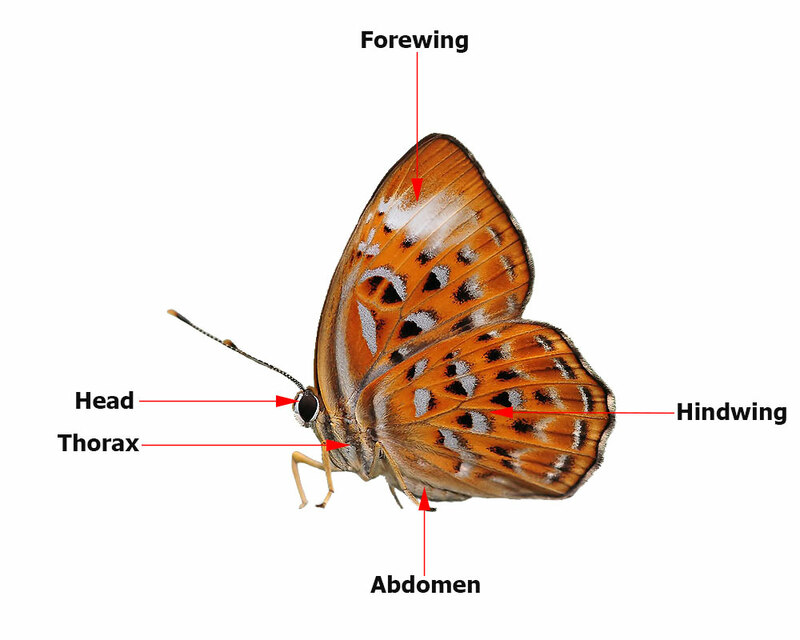 The abdomen contains the digestive system, breathing apparatus, a long tubular heart, and the sexual organs. 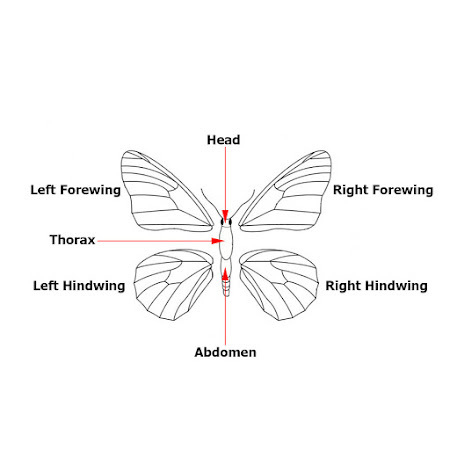 The abdominal exoskeleton is multi-segmented. 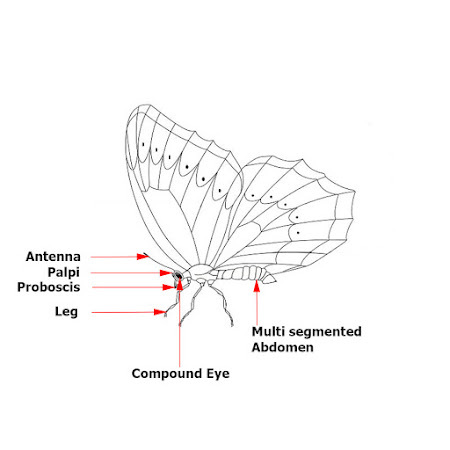 Each of the 10 segments is comprised of a ring of a hard material called chitin. 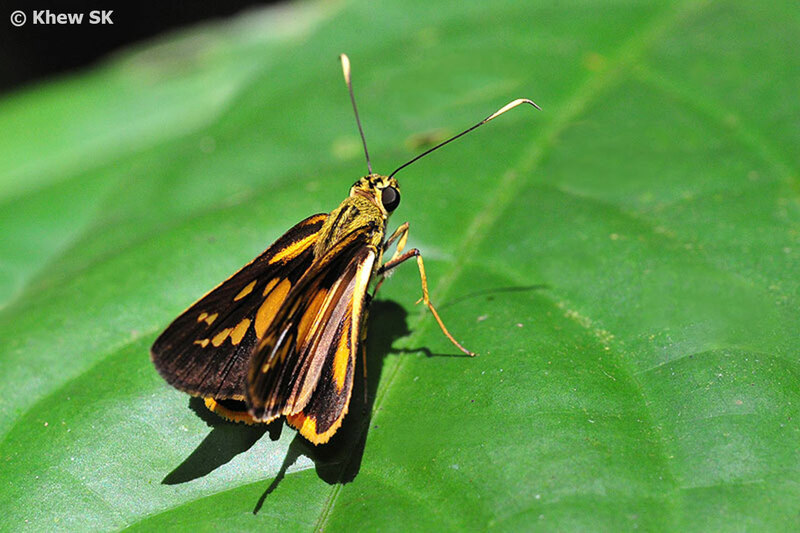 The segments are linked by flexible tissues, allowing the abdomen to bend, a necessity for copulation and egg-laying. 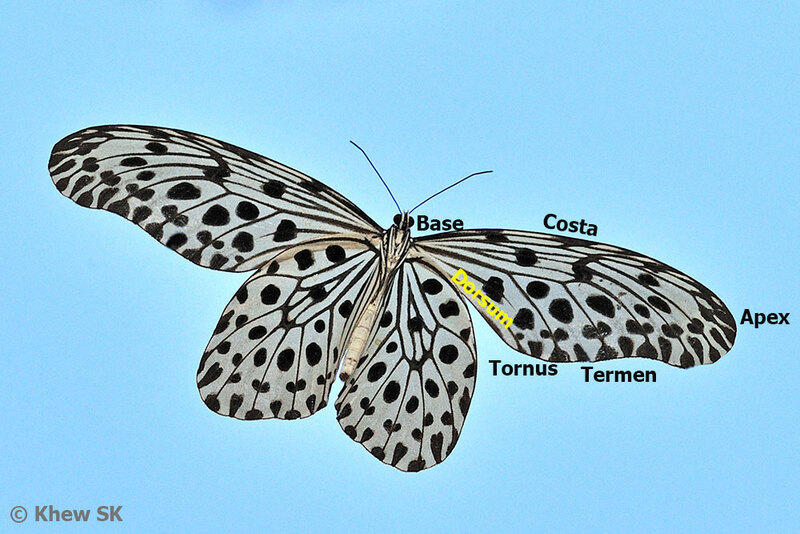 Moving to the next level of detail, would be the wings and the correct names for different parts of the wings. 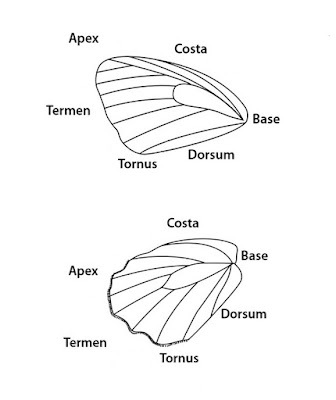 Firstly, when we refer to the upperside (or dorsal) and underside (or ventral) side of the wings, the photos above indicate the convention for this. 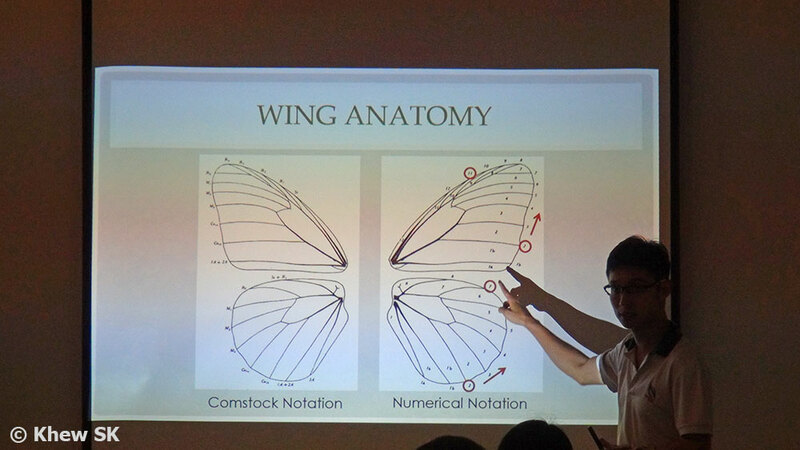 And then, considering that a butterfly's wing is triangular-shaped, each margin and angle has a given name. 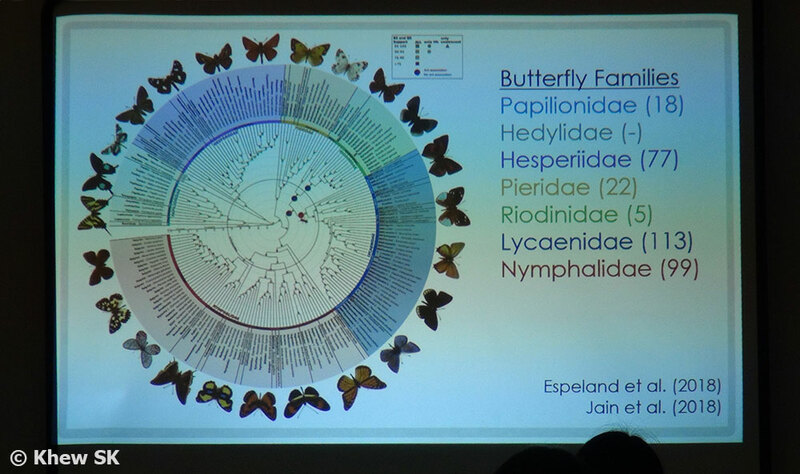 Hence a butterfly enthusiast should familiarise himself with the names of these parts of a butterfly's wings. 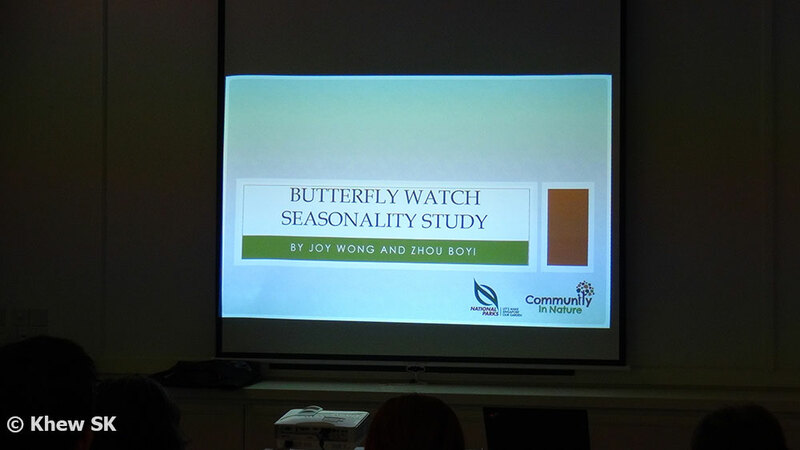 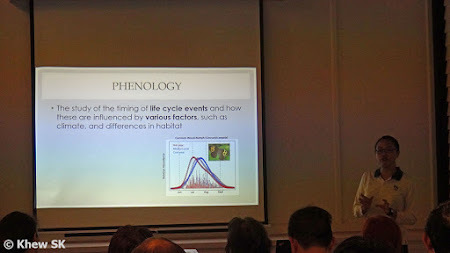 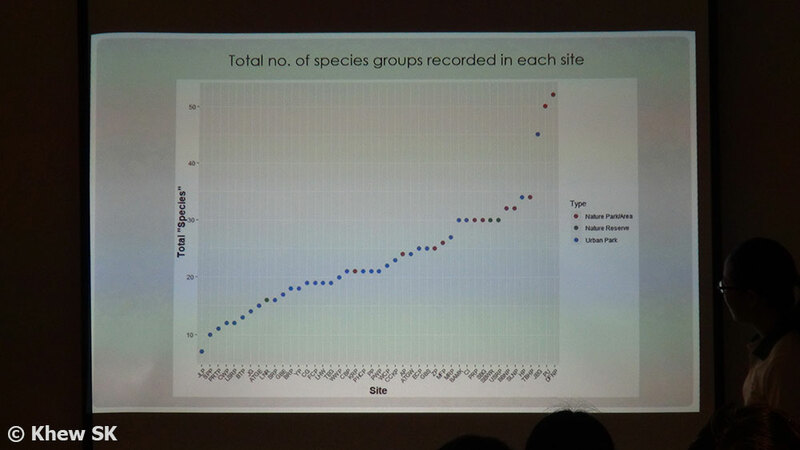 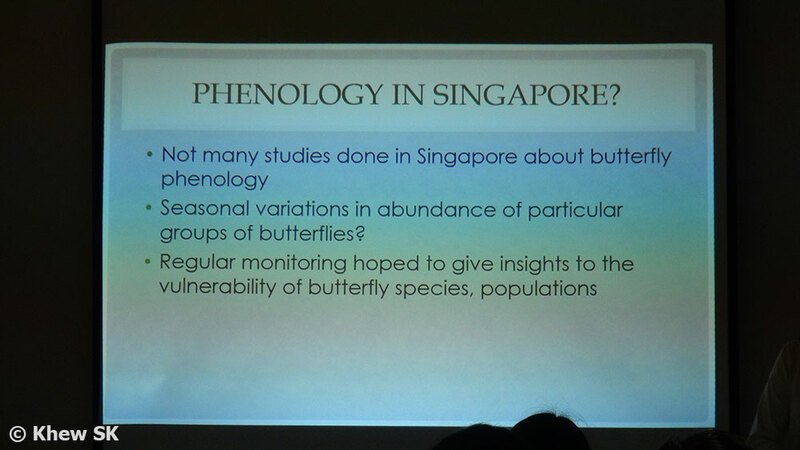 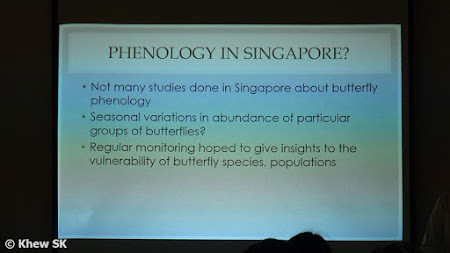 This is because when taxonomists describe the features of a butterfly's wings e.g. 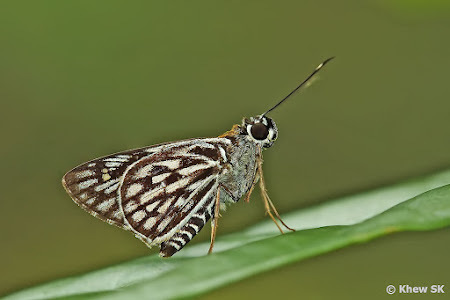 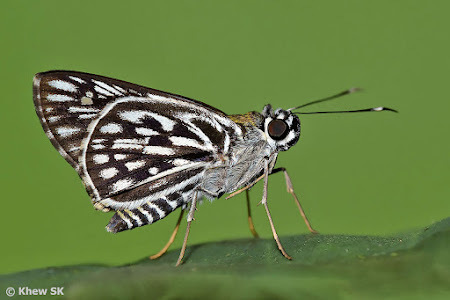 "the forewing apex is rounded in the female...", one will know exactly where to look at, and which part of the wing the description is referring to. The terms apex, termen, base, tornus, dorsum and costa should be the next taxonomic terms that an enthusiast should know and remember. 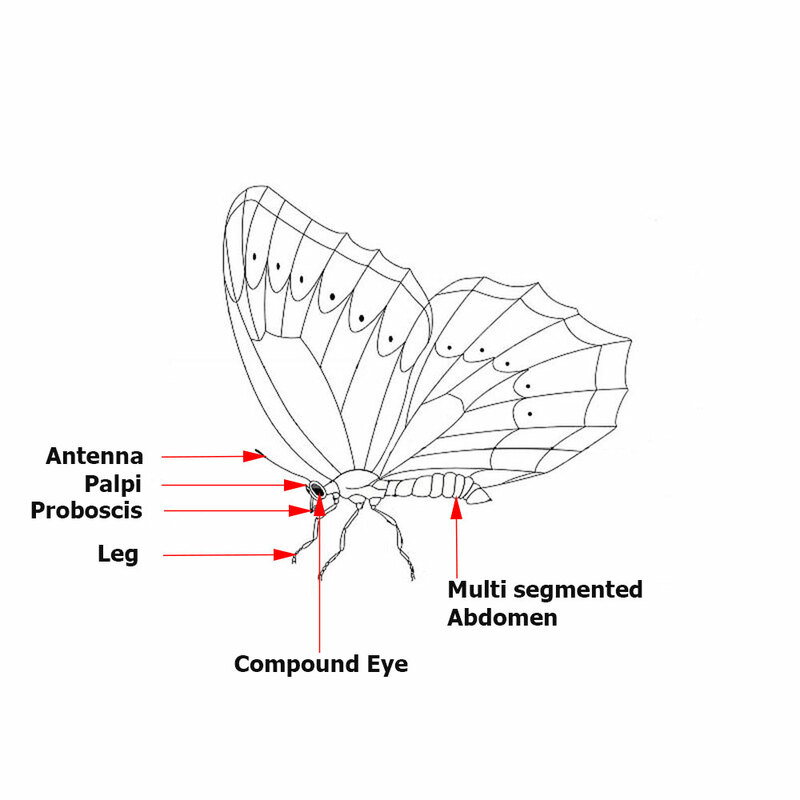 These are the general terms applied to the external edges of a butterfly's wings and are quite key to describing the wings. 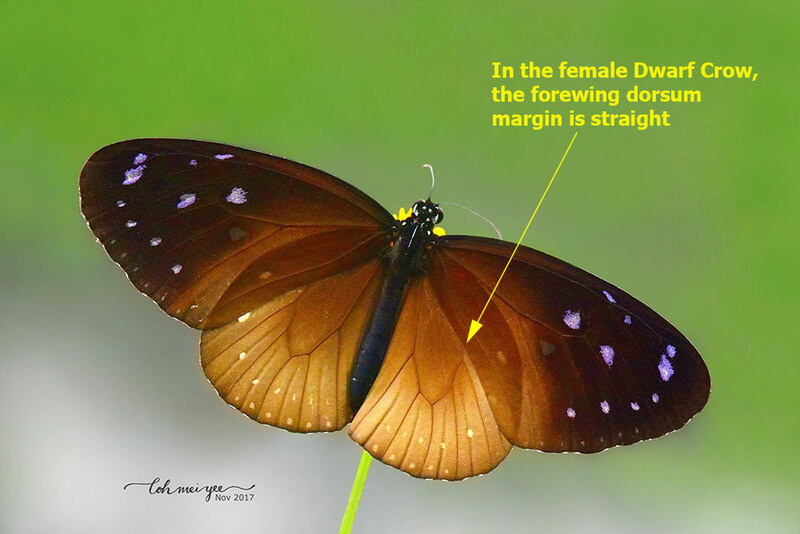 When the description refers to the forewing dorsum margin (straight or curved) of the Dwarf Crow, an observer will be able to focus straightaway on the correct part to see the differences described. 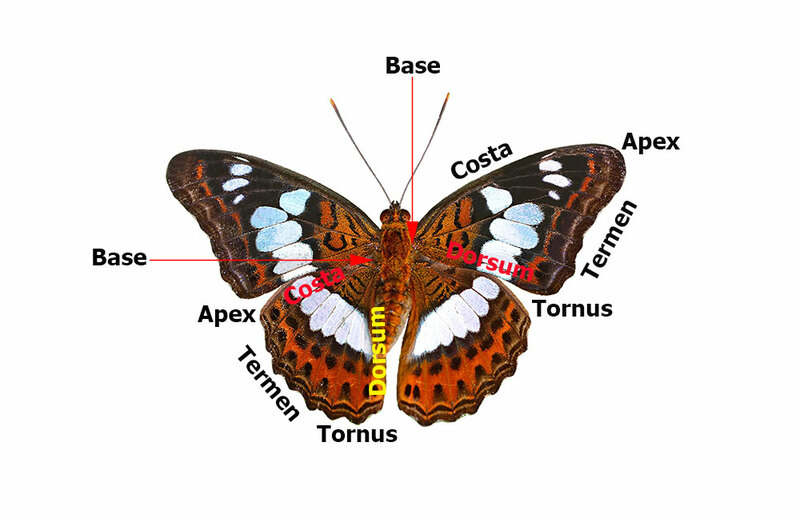 In subsequent parts of this Butterfly Anatomy series, we will go into the wing surfaces, veins and internal taxonomic names for different parts of a butterfly's wings, and other detailed names of other different parts of a butterfly that is often used as descriptors and diagnostic features to identify different species. 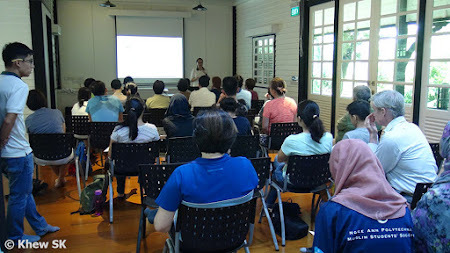 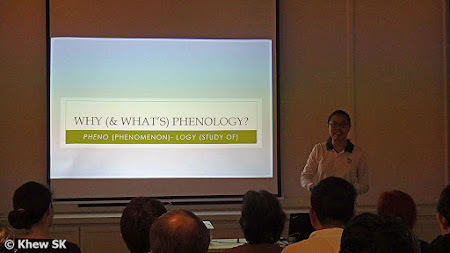 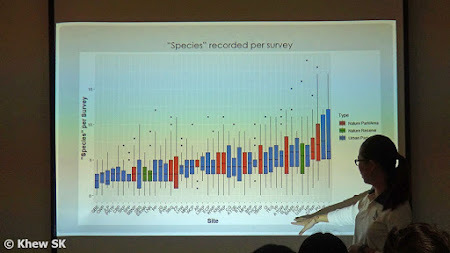 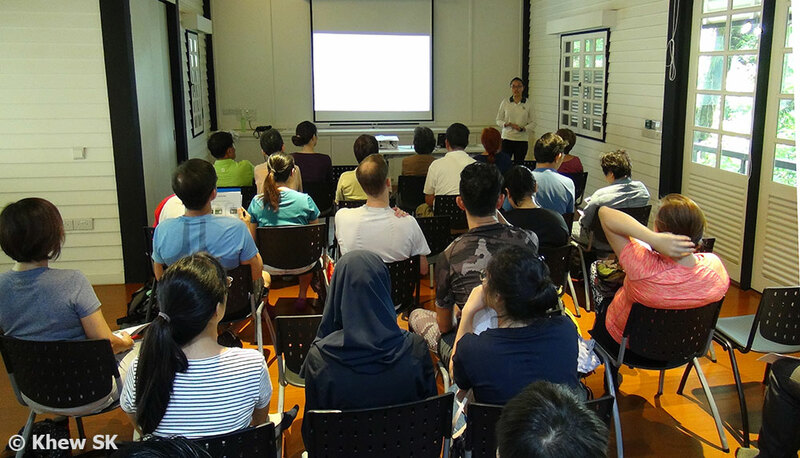 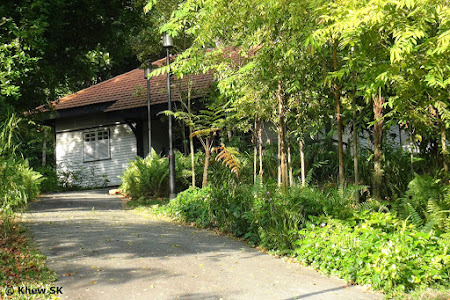 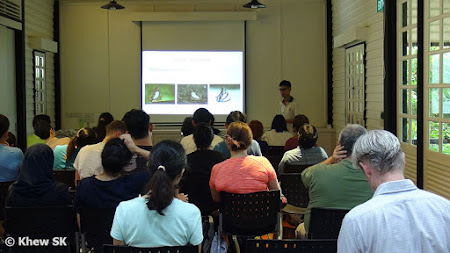 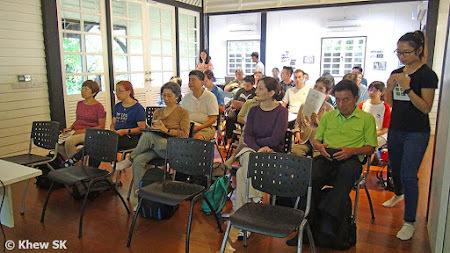 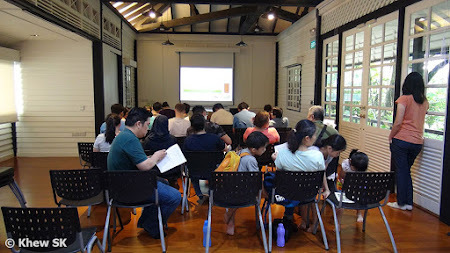 A glossary of other commonly used taxonomic terms will also be discussed.